When Albert Einstein died in 1955, Dr. Thomas Stoltz Harvey performed the autopsy at Princeton Hospital where he removed the brain, possibly illegally, and took it to the University of Pennsylvania. He divided it up into pieces; some for himself and others for several pathologists. Harvey photographed the brain from every possible angle then stored the pieces in a formaldehyde solution. When Harvey died in 2007, his family cleared out his possessions. The photographs and the parts of the brain he had stored were donated to the National Museum of Health and Medicine in Silver Springs, Maryland. Harvey had promised to collaborate with other scientists to publish a paper on their findings, but no such paper ever emerged. In 1978, reporter Steven Levy was assigned to find Einstein’s brain which up until then had been mostly forgotten. 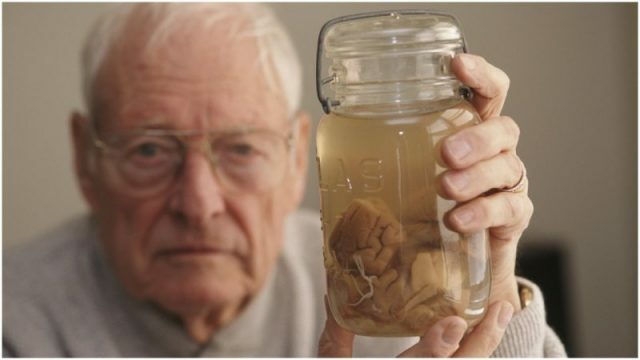 After tracking down Dr. Harvey, he asked to see the photographs but Harvey, instead, pulled several mason jars from a box containing the famous brain. According to Carolyn Abraham, author of Possessing Genius: The Bizarre Odyssey of Einstein’s Brain, it is believed that Harvey wanted to make a name for himself. Unfortunately, because of his theft of the brain, he lost his job, his wife and his standing as a Yale-educated, respected pathologist at Princeton. He spent the rest of his working life in a plastics factory. Abraham acknowledges Harvey’s wish to have the brain studied but remarked that if he had turned the brain over to qualified scientists things may not have turned out so badly. Several scientists who studied the samples given out have written papers, including neuro-anatomist Marian Diamond from the University of California, Berkeley. In 1978, she claimed the brain had more glial cells than the other brains used for comparison in the study. Glial cells hold neurons in place and supply them with oxygen and nutrients. 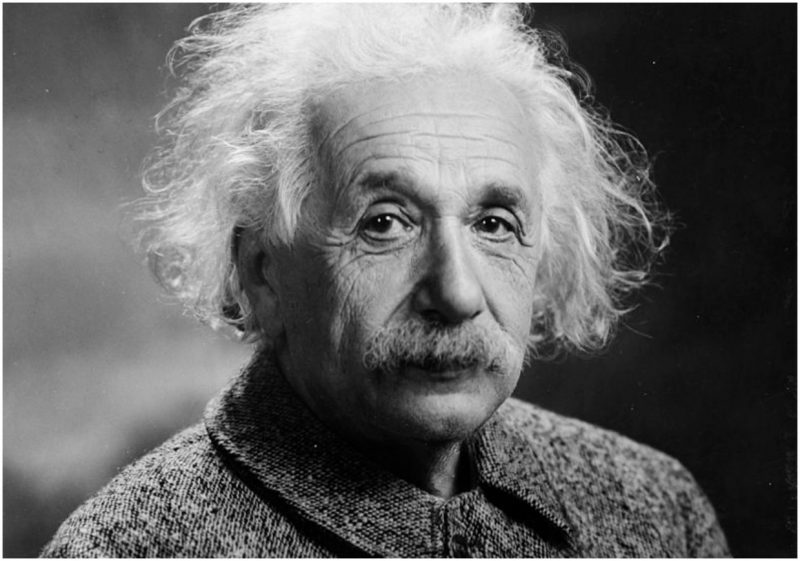 In 1996, Britt Anderson from the University of Alabama at Birmingham published a paper on Einstein’s prefrontal cortex which revealed the neurons in the brain were more tightly packed than the control group of brains, which may have provided for faster information processing. 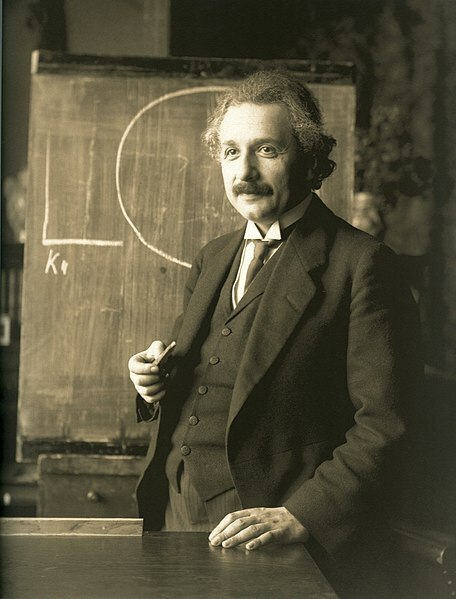 Sandra Witelson from McMaster University in Canada published her findings from Harvey’s photographs in 1999, claiming Einstein’s inferior parietal was wider than normal and was more cohesive. 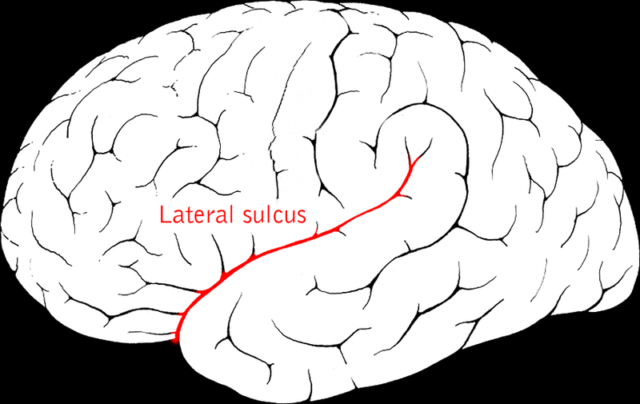 The inferior parietal lobule is the part of the brain responsible for spatial cognition and mathematical thought, obviously one of Einstein’s key advantages. Einstein’s Riddle- Can you solve it? In 2012, anthropologist Dean Falk, using Harvey’s personal photographs, found some uncommon differences from the control brains. She found a lump on Einstein’s right motor strip that is often found in left-handed musicians such as Einstein, who played the violin. She also discovered an additional ridge on the mid-frontal lobe which controls working memory and the ability to plan ahead. She found the corpus callosum, the connecting tissues between the two brain lobes, was much thicker than normal — leading her to believe he had more cooperation between the two lobes than most people. 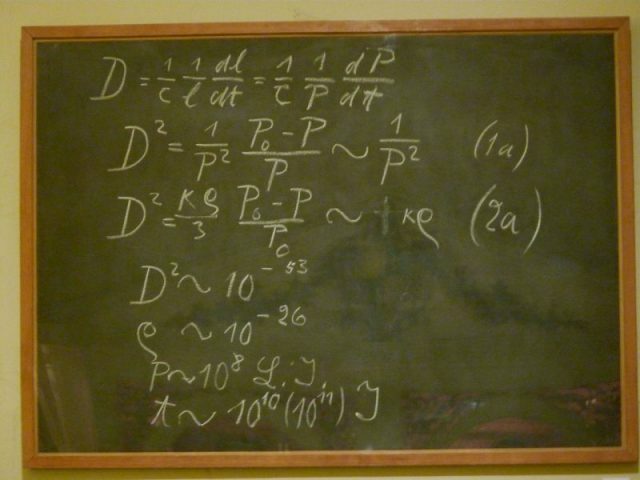 The press had a field day when these papers were made available, claiming the scientists had found Einstein’s special ability to create E=mc2 as well as other groundbreaking mathematical formulas. However, some people argue that nothing could be further from the truth. Terence Hines, a psychologist at Pace University in New York, has been critical of the studies claiming they are flawed. He believes that everyone’s brains may have oddities, but that doesn’t make one a genius. He believes that scanning the brains of noted scientists would provide a better comparison with the control brains rather than just using brains of geniuses. The question remains, however, was Einstein a genius because of the differences in his brain or were the differences caused by his genius?